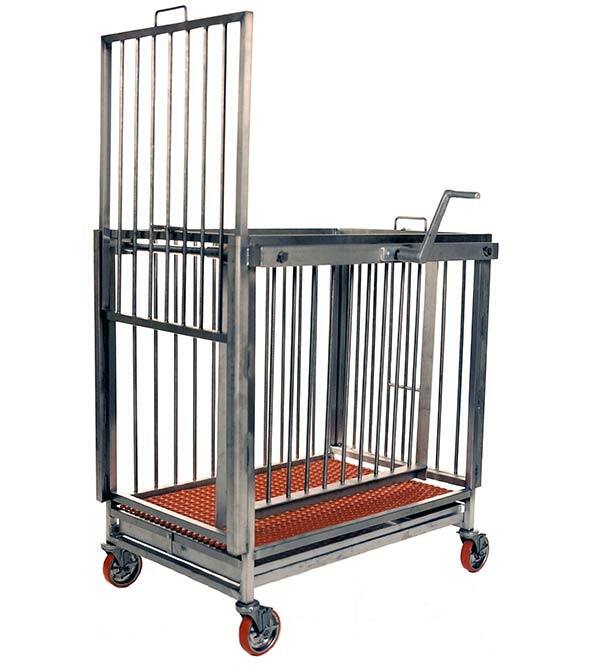 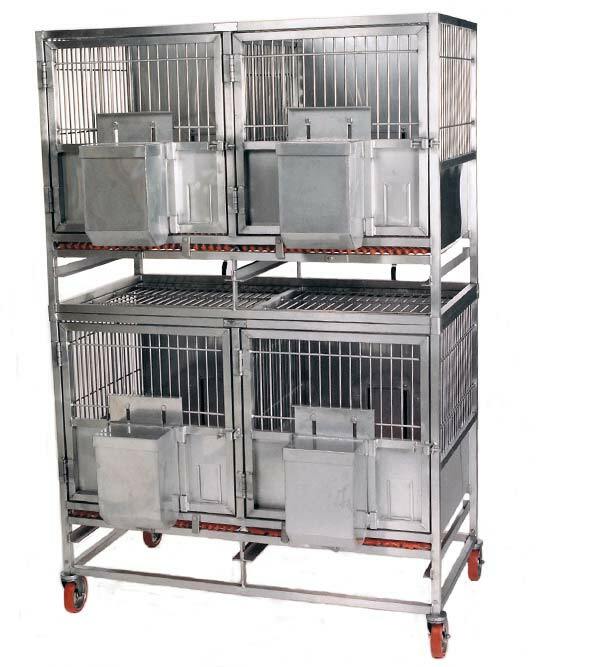 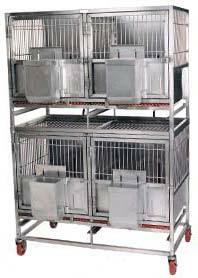 LGL designs and manufactures research cages, pens, housing units, transfer restraint cages, and metabolism units for a variety of livestock. 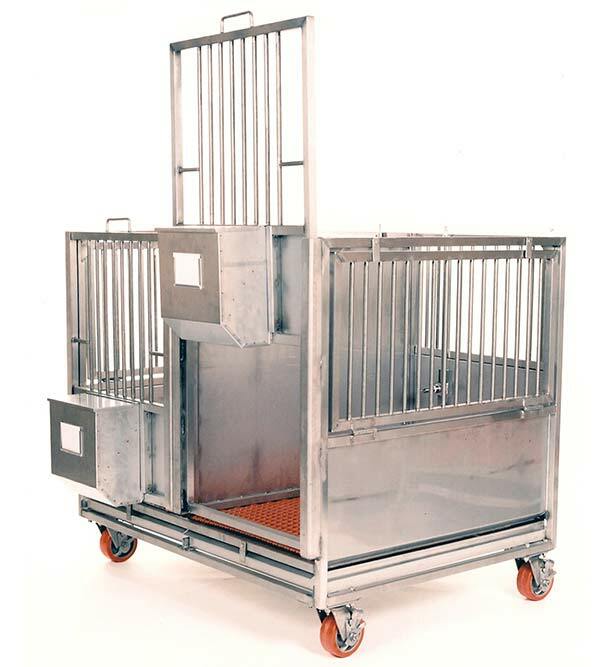 Select from our stacked mini swine metabolism units, mini swine housing units, mini swine transfer/restraint cages, swine growing pens, and swine/livestock pens. 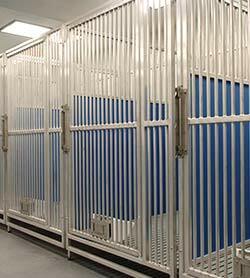 Livestock are social animals, and LGL Animal Care Products, Inc. provides modular pens to house compatible pairs or large groups of animals. 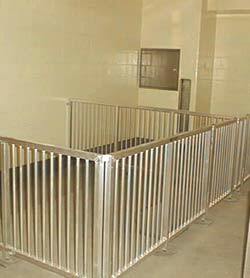 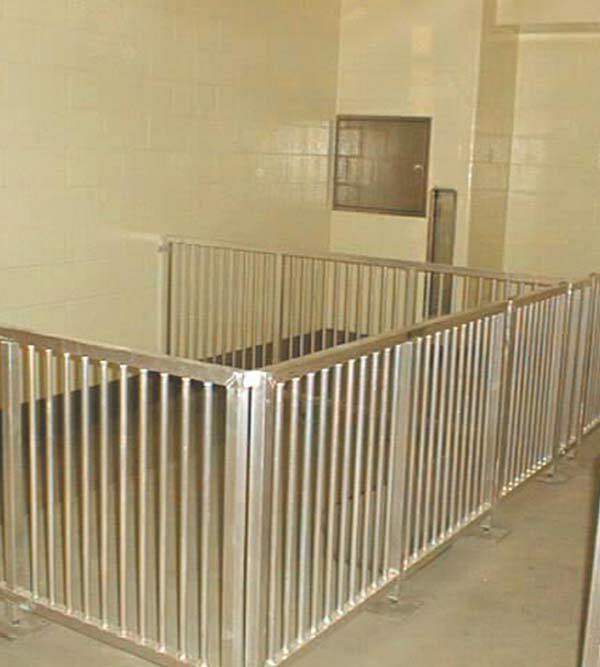 Adequate space is calculated into every pen that allows the animals to turn around and move freely. 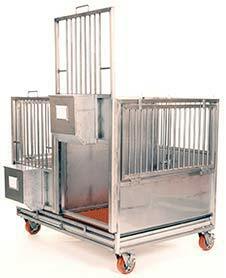 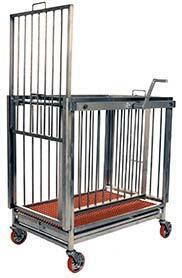 Note: Two guillotine doors on each end of the cage provides a safe way to transfer the animals. 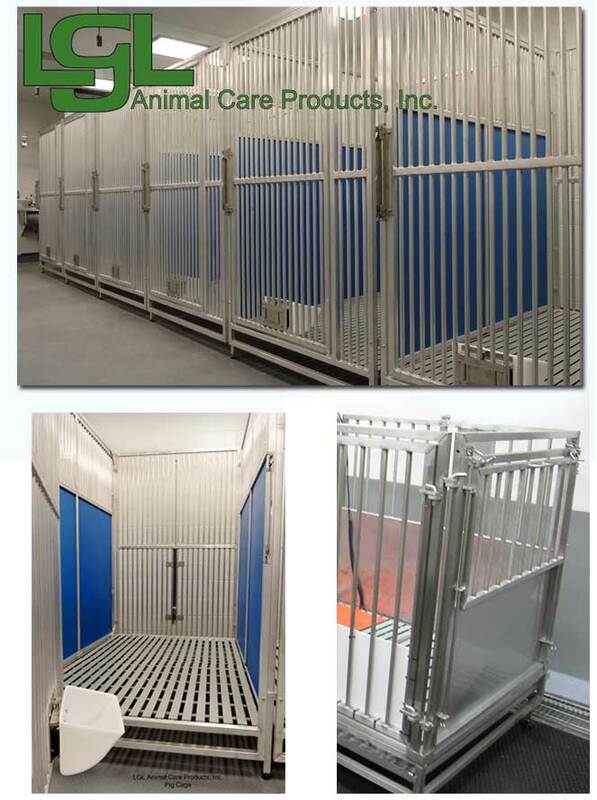 The dimensions of these pens can easily be adjusted to suit your needs. 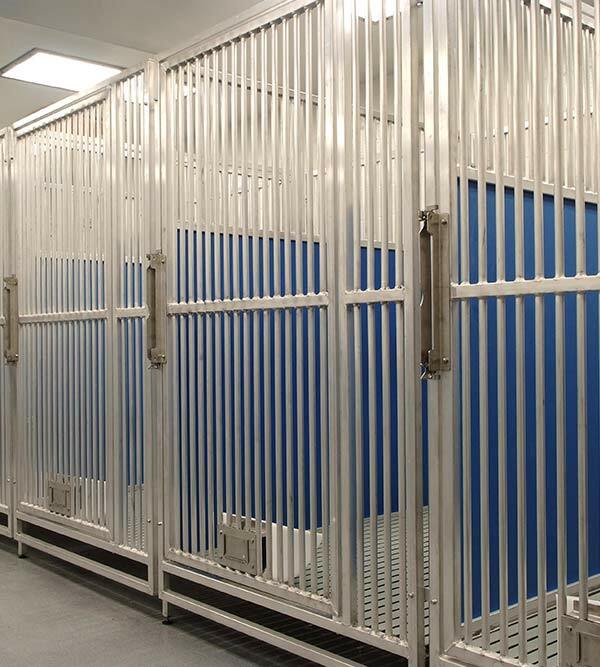 Our research livestock pens are large enough for animals to move about or turn around freely.